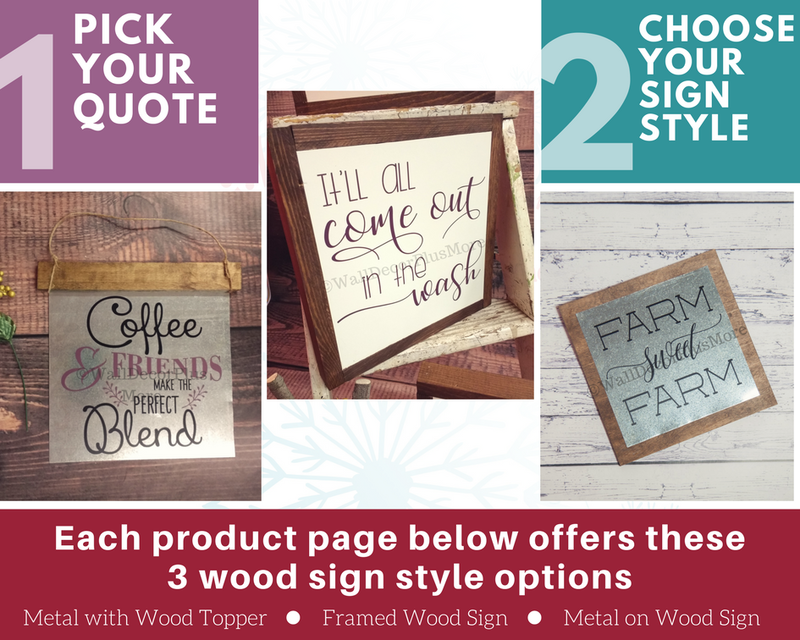 Each unique Design below offers 3 different choices for your wood sign. Start by clicking the design you love below. Then choose your vinyl sticker color for the design and finally your wood sign choice. You will quickly be on the way to simple yet modern home décor! Each part of the wood signs are hand-made and created in the Midwest USA! You can expect quality + uniqueness in each and every wood or metal sign you purchase from us!